All are being tuned to higher frequencies. Realities are not as they once were. Those moving into existence as a multi-dimensional being of consciousness will notice subtle changes very rapidly when measured against the old ways of "time". Time expands and contracts, as do you as an energy. Your mind will expand to see that which you could not previously see. The more you embrace it, the "easier" it will appear to be. As your LightBody continues to form, all things dense continue to come up for release in your outer worlds. Dense is simply anything that holds you back. Anything you identify with that is not out of love. And anything that separates one from another. For many, they are working to purge material things, attachments, relationships, memories, all energetic cords.... and get ready to bring in the new. They are allowing the heavy things to fall away. This is an exquisite time if one allows it to be. The physical body is changing in ways that logic cannot comprehend. Your DNA strands are activating further. While many are experiencing unexplainable physical adjustments, what feels & sounds like air "moves through" to "tune" one's energy to dissolve etheric inconsistencies that remain. You are syncing AS an energy, rather than TO an energy as once perceived. Words will change & become softer. Kindness and compassion continue to move in. For many there will be periods where words are just not applicable and feeling like language is changing is exactly as it seems to be. Many will speak and not hear what they did before. As they are hearing & transmitting in frequency. Soon all will be energetic communication and language barriers continue to fall away. For the language of one is energy. Here spoken words are no longer necessary. Seeing expands beyond that of the human eyes while hearing transcends the limits of the human ears. For as you become the energy you have forgotten, you are no longer limited to the realms of the physical reality you once knew. You have forgotten you, but are continuing to remember. Your LightBody gives you access to you in your truest and purest form. The human mind "learns" and the soul REMEMBERS as an energetic body of consciousness. These too are in direction opposition to each other, yet have a nexus point where infinity meets in the middle. When one can truly see all separation within, they will have remembered that they have never been separate at all. The human mind creates separation within self, from self and transmitting to an outward reality viewed as the physical manifestation in the materialization of all things and others. "Remembering" is a state of BEing as one's own energy self. It is a state of consciousness. It is felt as one transcends the physical reality/bodies and exists as ONE unified body of consciousness. It takes one to the moment of creation or even before. I have yet to share my own experience with others, as I am still comprehending the magnitude of all that occurred last week. Things are definitely "different" here. To actually MERGE into a body of consciousness as nothing but just an energy, "leave" your physical body & observe all of humanity from the point of "before creation" is a mind-blowing event that one attempts to comprehend, but cannot even fathom with a logical mind. In a way, there is no reason to speak of it, while also understanding the importance to share. Everything and nothing exists all in one moment. The vastness & the simplicity almost contradict each other in a place where there is no contradiction. And describing with words that where words don't exist, well..... (I believe I wrote as "messages" were received during this state, so I will share if so.) To exist as a "dot", to expand in & out to see all as nothing or all as one, to observe the gridwork of humanity, of separation, to feel the love of all as one being, brings tears to my eyes as the very thought of what has been created here to "live" out in the physical. Emotions are all over the place, in the most amazing way. One moment is playful, while the next is serene and silent. All moments are in love, observance & service even more now, for the "reality of this" continues to expand in every moment. New realizations of what we all are here to do changes with new understandings of remembering continuing to come through. This is a place of appreciation, humility, honor and trust. It is one of purpose that transcends all human limiting thoughts and beliefs. This is a place that is achieved through honor & integrity that one builds from within. Do we still exist here in human form? Yes we do. Do we trip & fall? Yes we do. Do we judge it? No. Do we serve humanity more than ever before. Indeed. Do we see things as we did in the physical? Never again. Each new integration "period" starts with a glimpse of what one is integrating into. It provides for one to keep one moving forward to "achieve" that which they have "unlocked" of their previous, earlier & higher existence. For those who's hearts are opening and awakening, this will be a continual journey within to seek that which you have yet to understand. This is a visual reality of geometry shapes, spirals, hearing what cannot be heard and, feeling with our entire being and transmitting out to assist all others as the brilliant & bright energy that we all are here, as one. When all realities have merged at the highest vibrational frequency, all bodies of consciousness then unify as one. This IS your LightBody. Embrace it, as the reality of it is now in your own remembering and ability to continue to release. 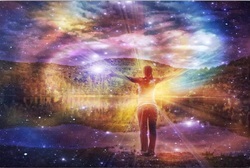 The journey of the Awakening Soul during this time of Ascension is one of EXPANSION. The soul grows by the introduction and integration of light INTO it's BE'ing here. Picture it as an expanding light trying to bust out of your physical body. (That is what I get to see). So WALK WITH ME, if you will. All start out by trying to find their soul. One looks UP at the Universe above and "waits" for it to answer by way of a higher self or other things that we identify according to our own belief systems already in place (i.e. Angels, Fairies, God, the Universe, etc.) As a soul, they are all the same, just depicted different according to the level of consciousness that one taps into to "see". As one grows "through" these levels, identity of any difference also falls away and all just become ONE that exists within as the ENTIRETY of all that is. In the beginning, the soul is fragmented, broken, and full of "holes" in its energy body. The soul is pure light and everything that is an imperfection (present within the ego) is literally SEEN and presented as "dark" energy. The SOUL body is what many refer to as their ENERGY BODY or LIGHT BODY. Dark carries a lower vibrational frequency. All of this serves as the purpose of duality and the experience we CHOSE to have here in order to ascend. It is part of MY SOUL PURPOSE here to translate, simplify & explain from the very SIMPLE soul view/perspective what is wayyyyyy beyond the limits and comprehension of the detail-needing, answer- seeking, complicated-making, thinking/logical mind. As a physical being, I AM a teacher of Re-Awakening & Ascending Souls. As a Soul, I am here to assist in bringing in more light for all. This includes the LightBody Energy Sessions/Workshops and also the Light Energy Transmissions that I do. Now, in the "future" it will expand way beyond all of this, but for now, this is where "all" are at in the ability to accept & receive. Everything evolves as all of humanity evolves and the entire world ascends together. As more achieve "LIGHT" status, they too will be able to then turn around and assist in the transmission of light energy in the physical. So, by helping others bring in more light, I will also be "teaching" future LIGHT ENERGY Transmitters to reach out to assist on a much grander scale. This could not be done before, as it was not yet "time". That "time" rapidly draws near. ALL of our souls are already HERE in the physical. They are no longer "up there" where all tend to look when trying to connect. This is a very huge part of the understanding process that is imperative to SHIFT one INTO understanding that they are walking soul energy. How much of that one's soul is present is dependent upon the priority that they place on EXPANDING their own light within. KNOWLEDGE of a soul comes through the AMOUNT of LIGHT that one holds WITHIN their own soul energy. The ENTIRE purpose of one here is to bring in more light in EVERY moment and release all dark that becomes visible by that light. Period. Everything else is just "details". This is why all keep hearing "go within, all of your answers are within". Your own soul holds all of your answers and is accessed through the clearing & expansion of your heart. Your purpose is to learn to connect with it, listen and choose. Further igniting that light will bring you more answers and continue to activate those keys and codes that remain locked. The KEY is LIGHT. Your SOUL PURPOSE is to continue to choose light so as to unlock the next level so that you can transcend the physical limitations and STEP INTO your SOUL PURPOSE once the dark has been allowed to fall away. There are soooo many ways to bring in more light, raise one's vibrational frequency and expand beyond the limits of the physical. It takes being aware, present & conscious in every moment for one to CHOOSE to do this. An awakening (or re-awakening) is not choice. How "fast" it appears to occur is, as time is a creation of the logical and linear lower-self mind. All get in a hurry in the beginning, as once the soul ignites, there is a FIRE that burns to know more NOW! All that is gathered by way of information will assist that soul later when they expand out into their physical role here to assist to help mankind. Their interests will be fed by that information that will come through when they need it "later". Anything "spiritual" and focused on the heart will also trigger codes within and further activate that which has laid dormant awaiting for this to occur. The NEED is the ego, which the soul actually utilizes to "do the physical work" to seek all that is "missing" and necessary for growth. Where there is duality, there is separation. The ego seeks to control HOW this occurs. So where one loses consciousness, then they fall back into the way of the ego needing to "drive" the experience. Which is WHY consciousness is so important; as consciousness is by way of an open heart, the observer, and choice. As the heart expands, so does the soul light and the level of consciousness. They ARE ALL ONE. 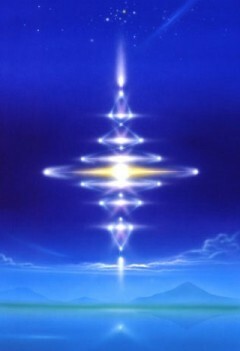 As ALL bodies continue to ASCEND with more light, they are continually attempting to integrate into ONE BODY OF BEING. The LIGHTBODY, or Merkaba, starts to build for one to fully transcend the limits of the physical and be able to "travel" multi-dimensionally, AS a higher consciousness (and alternatively) beyond the physical. For now, many are having these experiences on limited individual basis, while more and more are starting to comprehend as they remember. This steps into another "level" of what my purpose here is. As a LIGHT BEING, I am able to transmit and tune the frequency of one's soul energy so that all bodies can integrate at a higher vibrational frequency. These transmissions actually RAISE the vibrational frequencies of all bodies of consciousness. There is a "fusion" that occurs so that all are able to then communicate on an energetic level and it is a BEAUTIFUL THING! Dark energy is allowed to fall away (pour out, seep out, purge) with greater ease. Much is instant, with the rest continuing to occur later as the vibrations continue to "push" the dark out and integration continues at a faster rate. The physical BEING actually FEELS their soul as they get up off the table. They feel IN ALIGNMENT, balanced, have clarity, WALK TALLER & LIGHTER, and many of those pieces that were "out" elsewhere (in other dimensional versions of one's self) are called in to MERGE during the session so that the Soul can integrate at a higher level. Higher Levels of Consciousness are now able to be experienced, IF one ALLOWS what transpires after this LIGHT INTEGRATION. As more light comes in, and the soul expands, disorientation occurs. One's "head" actually gets disoriented (no thinking) and clear (seeing) all at the same time. This disorientation is what one feels when their soul is attempting to bring IN it's access to the higher dimensional states. One's logical mind will kick in and fear the loss of "control". As the logical mind is strong and it does not like to lose control. Where one is still battling the control of the logical mind, then this expedited process is limited by the control one allows to be placed "back on" their own soul and can actually slow down one's integration process. The more one continues to need to control, the slower the SOUL INTEGRATION process occurs. The physical being sees "hurry up, oh but wait!" and they actually slow down the process that can be embraced and sped up by CHOICE. The choice is to let go of control that the ego/logical mind has created in order to maintain it's own identity, while the soul knows that eventually it will dissipate and merge into ONE WHOLE ENTIRE SOUL BEING. It is the physical being that allows the Ego mind to create fear of "oh I might lose this" and hang on to all of those identities that have separated one's soul being. It is the purpose of the physical being to CHOOSE their soul SO THAT THEY CAN RE-Integrate as one SOUL BEING OF LIGHT! Now, I learned by "letting go" and trusting. This did not come easy. But, many have read books upon book, achieved certifications and education and still have no idea of how it all works. That is because knowledge of the soul comes through LIGHT. This is why some "grow" faster than others. Because they are "serious" and embracing LIGHT in every moment and choosing it. This is how ALL souls will awaken faster, which is by learning to understand that they must CHOOSE it or it will choose them and all that they held onto in order to avoid will be "removed" as an obstacle for one to make a different choice. One of the SOUL. The UNIVERSAL SOUL self is way beyond anything here in the physical. It has access to everything needed to bring in more light and to assist in the TRANSFORMATION of all. Once one has stepped INTO this journey and learns to embrace it in every moment, then those choices are always supported. Where difficulty occurs is that while one is attempting to embrace light, for a while, they are also working to release all that they have accumulated by way of what they understand as karma in order to bring all into alignment at a higher vibration. The difficulty along the way presents as lessons that one will use to "prove" trust with their own soul self and the Universe. Each test is imperative, as the soul self is then teaching itself and establishing trust that the physical (lower) self does not have or yet comprehend. In order to merge, trust is established in every moment, every step of the way, through embracing one's own soul in honor, integrity, purity and love. So, get ready to open your heart, bring in more light and expand beyond that of your own physical self's wildest dreams. As what is to come is way beyond the physical. I love you and with this writing transmit light from my soul being to your soul being, as one. EVERYTHING carries a frequency. EVERYTHING is ENERGY. And when one can start to look at this entire process from the perspective of dimensional frequencies, the process gets MUCH easier to maneuver. One can CONSCIOUSLY recognize and step in & out of dimensions at will! And once one can do this, going back is NO LONGER A DESIRE or OPTION! Are you aware emotions carry a definitive energy frequency? Are you aware that as long as you maintain any of these energy frequencies within you, that you will continually be dropped down to that dimension where that frequency exists? Anger, blame, shame, fear, guilt, judgement, are all frequencies of duality that exist in a lower dimension. (4th), and manifest in the physical as matter (illness/dis-ease, lack, etc.) in 3rd. The more we maintain of that group of frequencies, the more denseness manifests, the more there is to clear. Emotions FEEL heavy in the 4th Dimension and manifest as weight or illness in the 3rd. This is why you see such dramatic weight losses occurring with those who have been over weight for so long. The heaviness, denseness actually starts falling away as the 4th dimensional duality issues are released from our energy and we elevate more and more to 5th dimension. Love, happiness, kindness, peace carry a 5th dimensional frequency. They are "light" i.e. NOT dense. So, one can be happy one moment then all of a sudden get thrown back "down" in frequency to "deal" with anything that still exists within one's own energy patterns. One is able to maintain 5th Dimensional frequencies for longer periods each time they clear a lower vibration. If they don't clear it, they have to continue to go "back" to experience that frequency until they do. We all exist in every dimension until all of that lower dimensional energy is cleared, released so that the physical body can actually elevate to maintain the lightness of the higher frequencies. This is the "Light Body" you hear of. The higher the body vibrates, the lighter it becomes...literally. KEY: Maintain consciousness enough to KNOW that you are being thrown back ON PURPOSE in order to CONSCIOUSLY clear a lower frequency! Recognize and say "oh wow, this is intentional so I can see the FREQUENCY still left and let it go. *** Imperative: Don't participate! When you are thrown "back" into it... MAINTAIN... and "see" it, without judgement and CHOOSE to RELEASE it.... let it go. The purpose is to be SO conscious, SO aware, that you do NOT keep repeating your own KARMIC loop! We are all given an opportunity to clear, resolve, face and release KARMA from every "lifetime" HERE AND NOW. Being conscious BEFORE you make a choice, allows you the opportunity to CLEAR & RELEASE. You have an opportunity to break your own Karmic Loop process. How do you do this? You have to ask yourself a few questions. You have to shift out of your head and be completely present in your heart. You have to ask "what FEELS right? "; what have I always done every other time this has been presented? ; what creates the most discomfort? what am I avoiding? And you have to "step INTO" it. There is no more avoiding, hiding, running from that "thought". As we continue to elevate in frequency, the period of time we get to spend there is longer. Then something will happen (not really, as this is all by design also), to throw us back into that dimension to deal with that dimensional frequency. THE REACTION IS THE PURPOSE! All of our bodies are working together to integrate as our Light Body. This can only be done will full integration of all of the "bodies" as light. Any imbalance in frequency will create an imbalance somewhere physically. 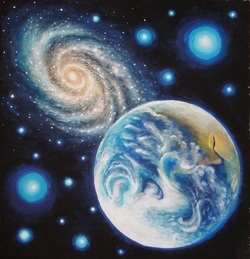 Light Body fusion begins when enough light has been introduced in. This is where the Light Body energy sessions catapult the process. Fusion between all of the "bodies" is created where they actually can now communicate and start to work together, instead of against each other. Everything is catapulted and denseness starts to fall away much faster and with as much ease as one's logical mind will allow. Consciousness is required for one not to choose to suffer.